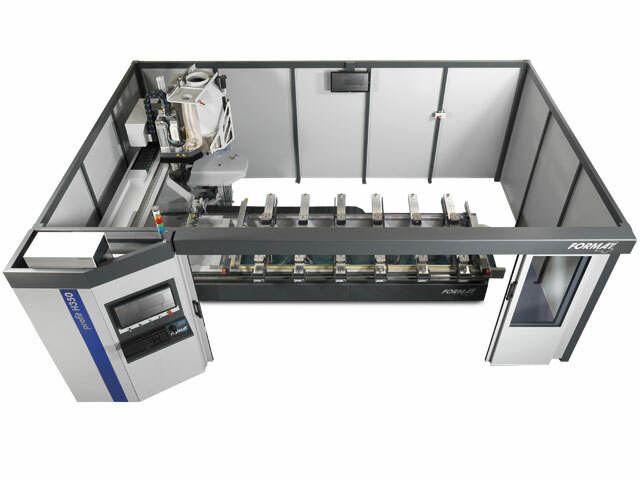 The CNC machining centres profit H350, H300 and H200, enclosed on all sides by the Format-4 safeSpace, bring the most modern of CNC technology even to smaller workshops. 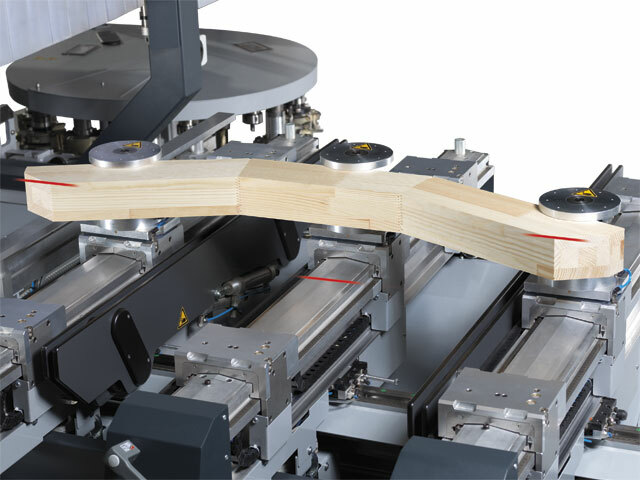 Up to 7,5 m² less installation space required, but with massively increased working safety - that is the CNC advantage of machines from Format-4. 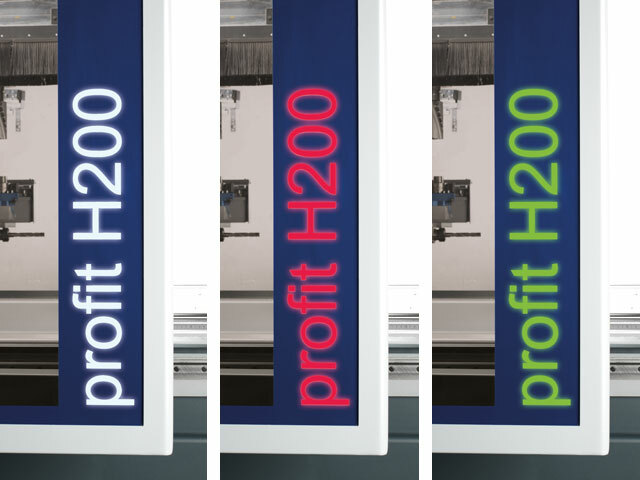 Immediate status overview - the status display informs you about the current machine status. 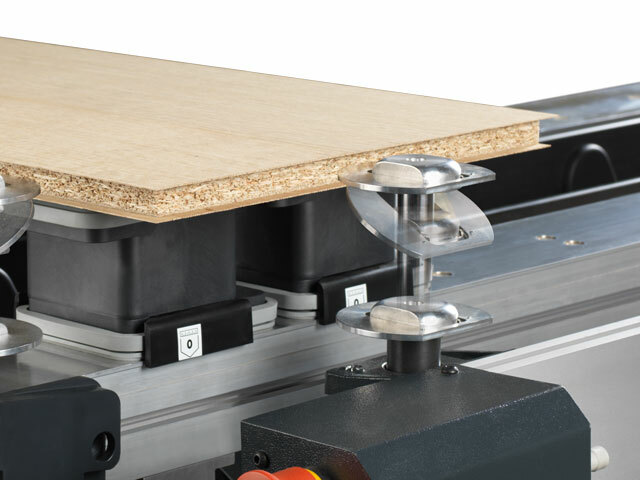 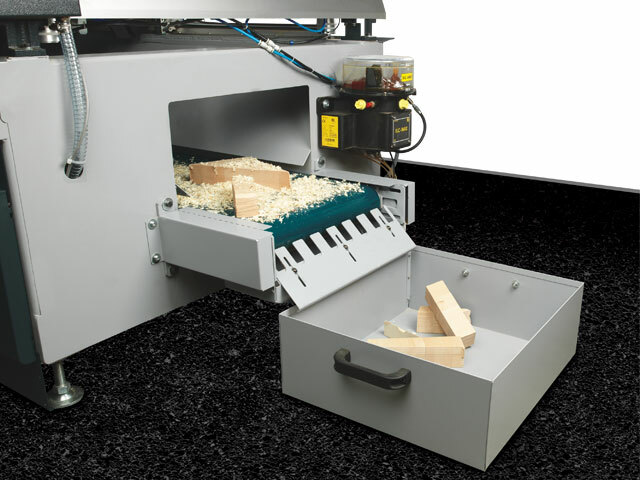 In addition to the standard workpiece cylinder stops, there are additional stops specifically developed to machine veneered panels with projecting veneer or laminate. 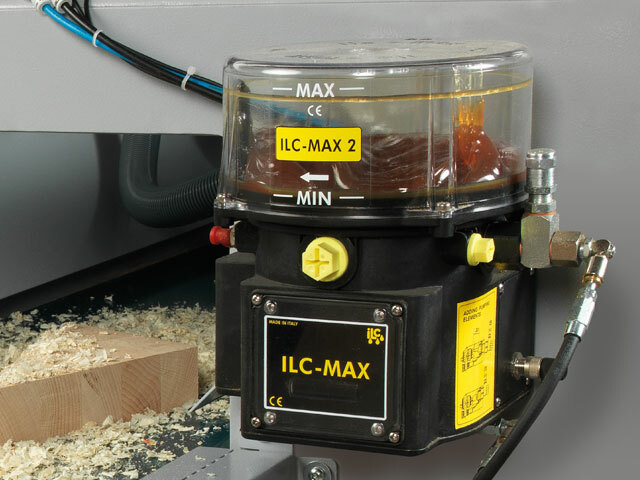 With a motor power of 12 to 15 kW with up to 24.000 rpm and inverter controlled, the main spindle motor is more than capable to tackle any task. 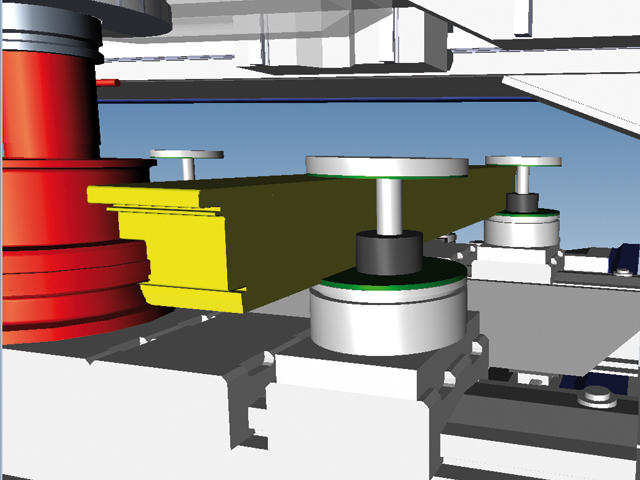 The motor is fixed directly on to the carrier unit in the Z-axis. 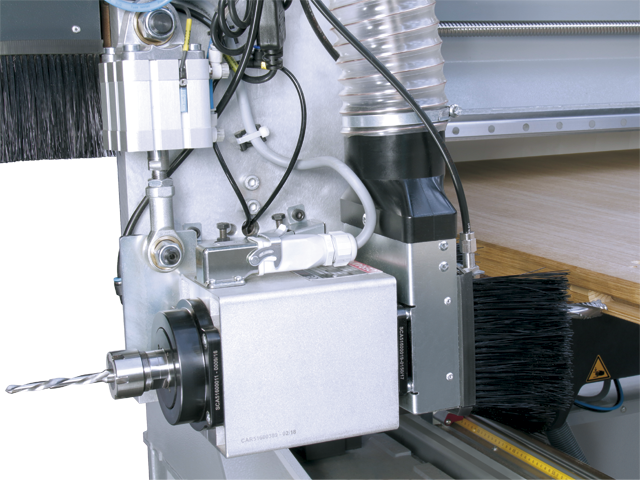 The highly precise vertical guiding of the moulder motor is guaranteed by two vertical guide tracks. 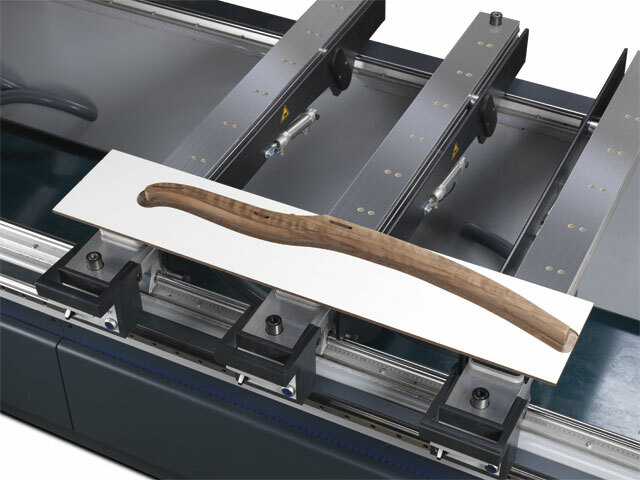 The HSK F63 tool clamping is carried out automatically. 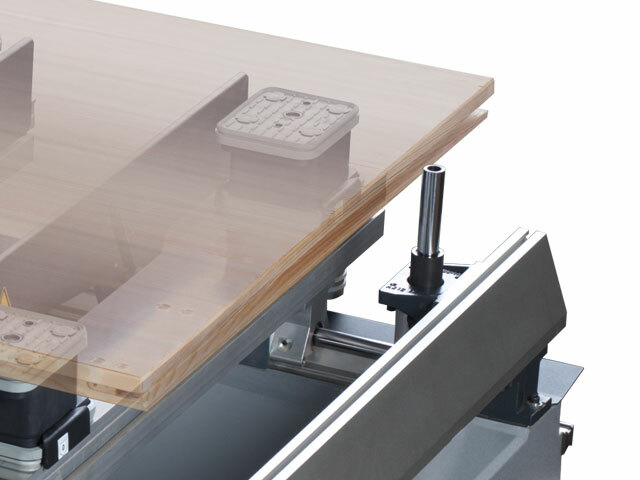 The clamping pressure of the tool is controlled by sensors and the operation safety guaranteed. 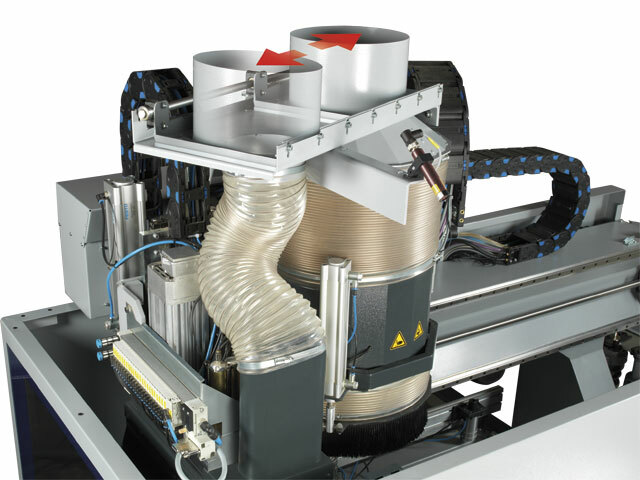 The tooling housing is cleaned pneumatically. 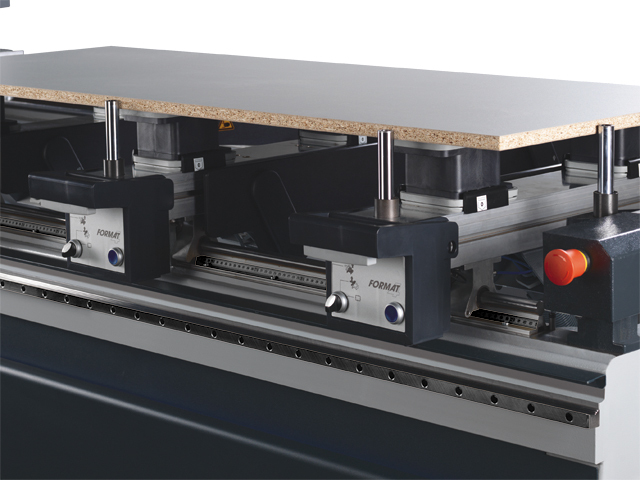 The C-axis is optionally as the available fourth axis and is interpolating (360°) with a compressed air interface for the units. 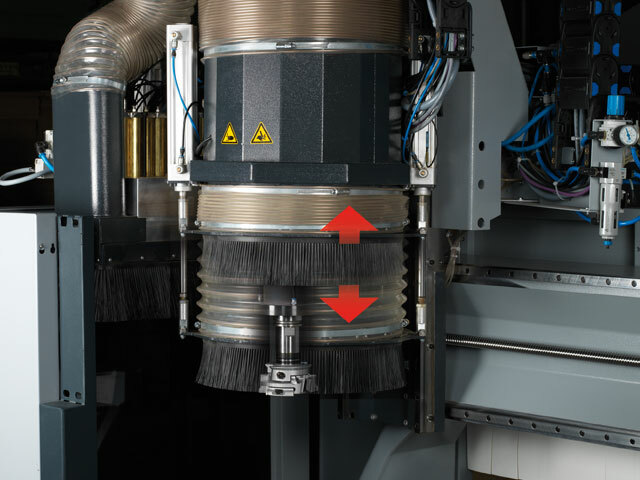 The extraction hood positions itself fully automatically to one of 3 positions in relation to the workpiece height which significantly reduces the dust and noise emissions. 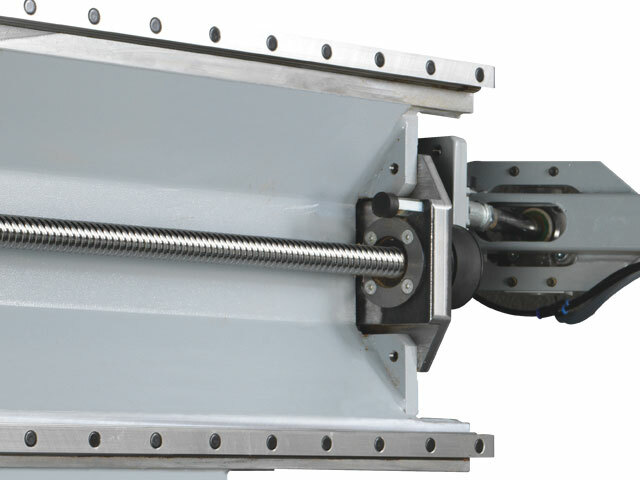 Tool changer for 4 tools or aggregates, mounted to the gantry. 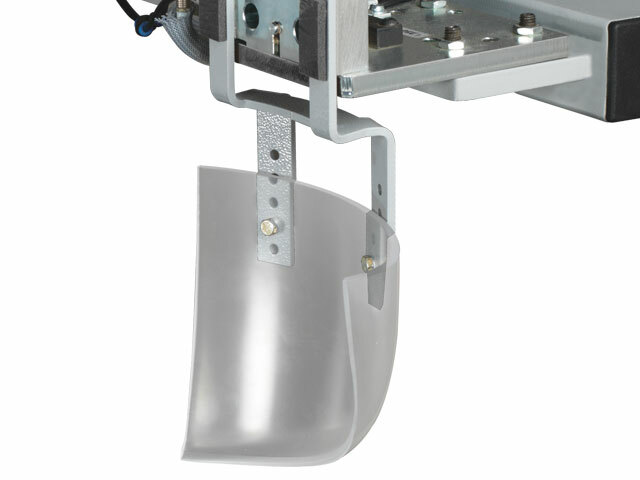 Ensures quick tool changes even when working in pendulum operation. 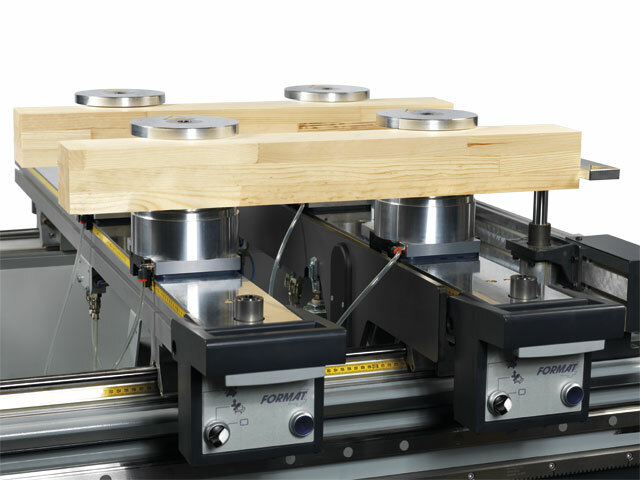 The rotary tool changer with 18 tool positions is mounted to the back of the gantry and moves together with the gantry along the X-axis. 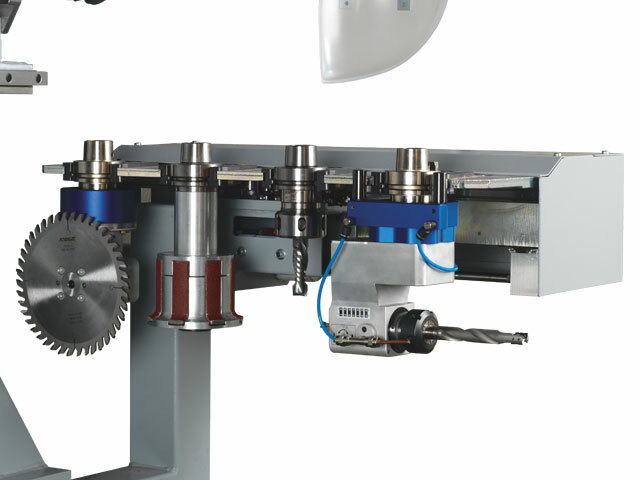 The 18 position rotating tool changer, keeps tool changing times to the bare minimum. 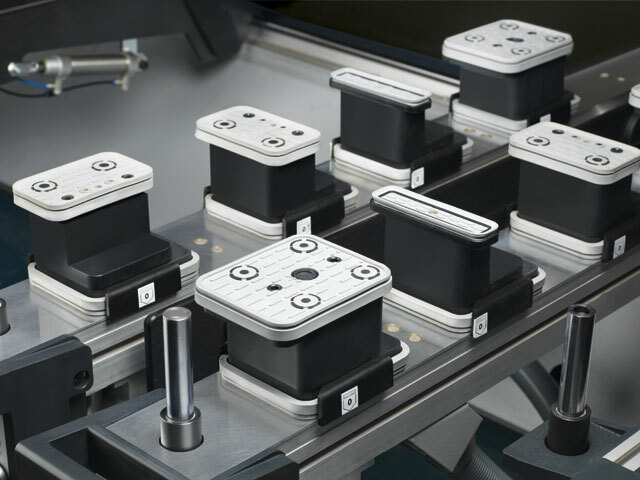 The tool changer with 12 tooling positions improves productivity and creates more space for additional tools on the machine. 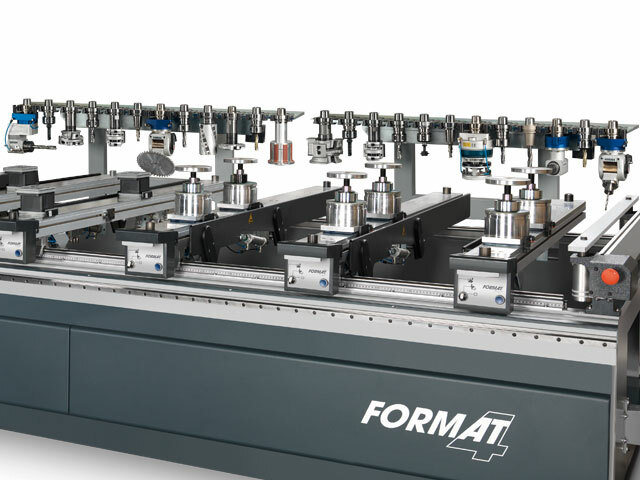 The lubrication is applied as and when required to the guide carriages of the X, Y and Z axis as well as the bearing spindles in Y and Z. Lubrication is carried out automatically after a preset time. 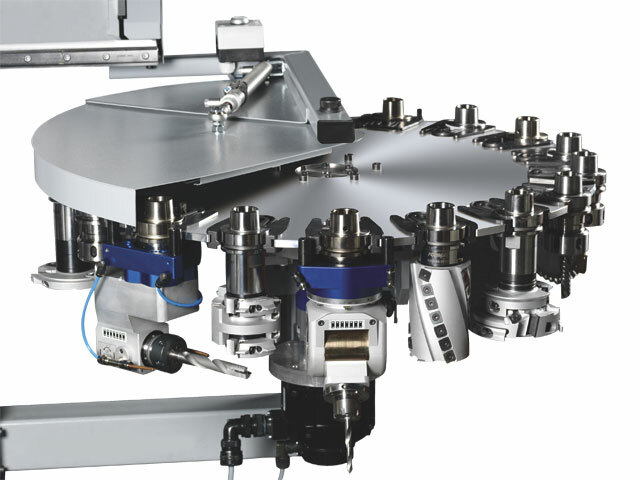 Y-axis guiding system: Positioning is carried out by recirculating ball bearings running along hardened and polished linear guides. 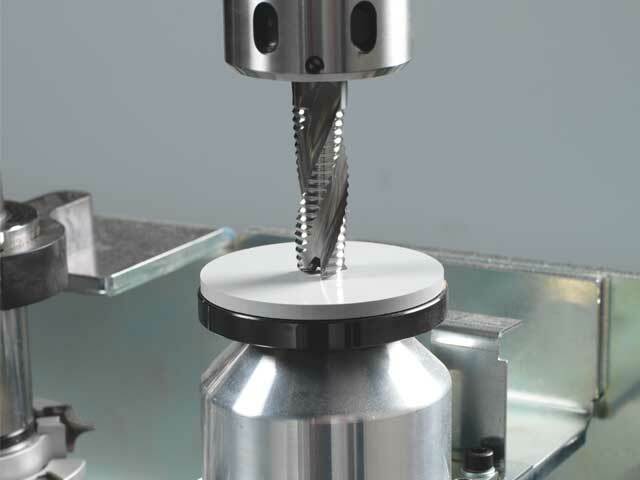 The Y axis is positioned by a polished recirculating ball spindle. 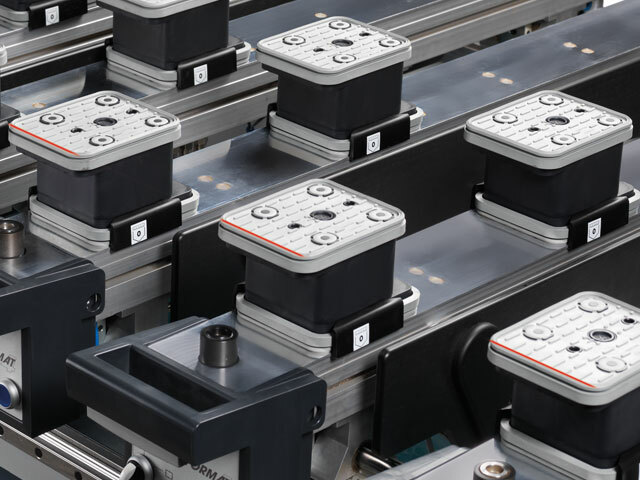 Guiding system Z-axis: Positioning is carried out by recirculating ball bearings running along hardened and polished linear guides. 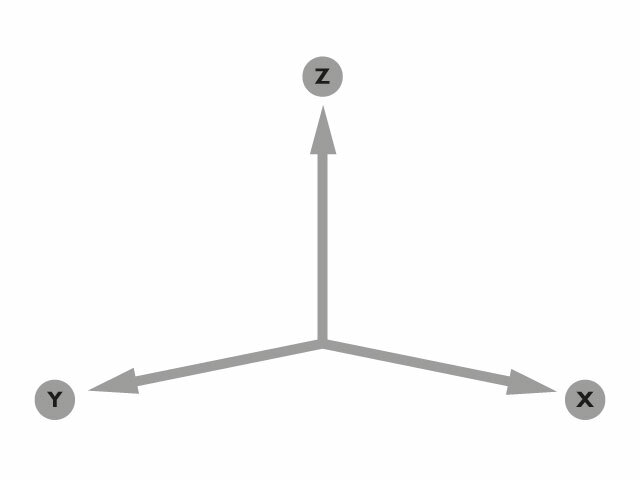 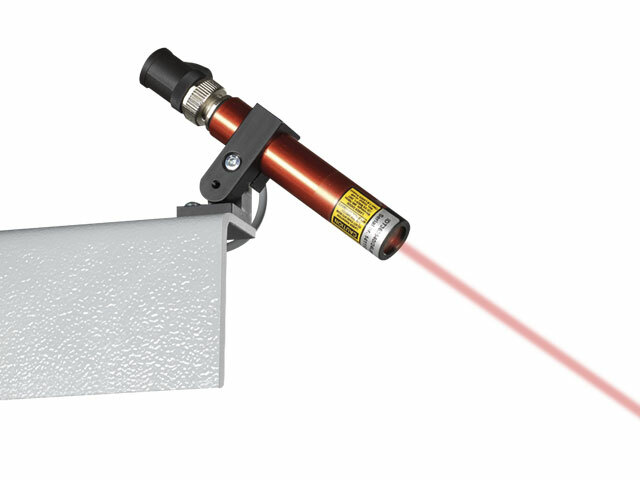 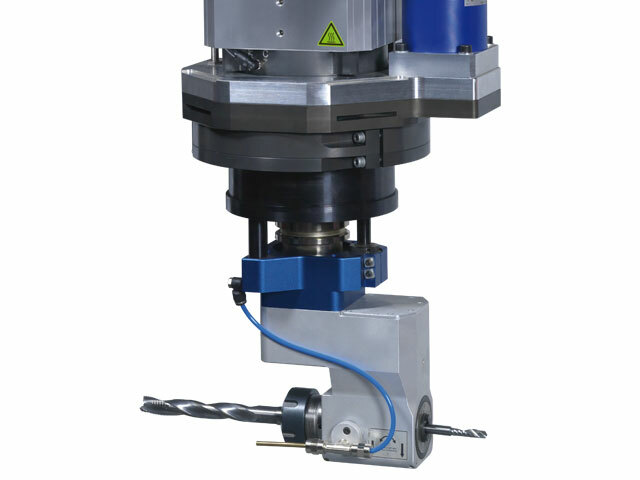 The Z axis is positioned by a polished recirculating ball spindle. 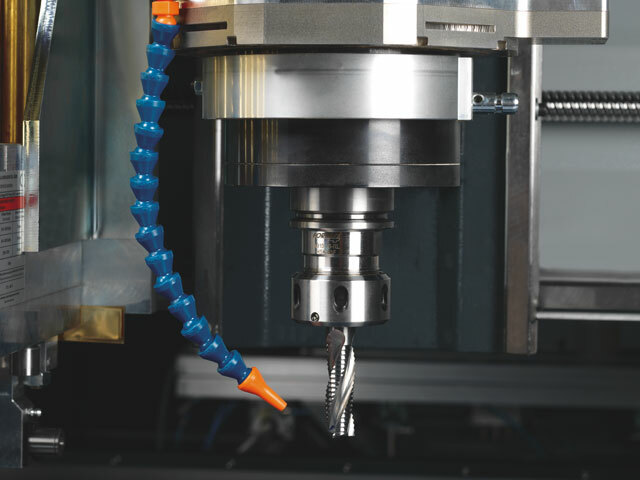 The horizontal spindle motor has an ER25 collet chuck on the right and an ER32 collet chuck, with integrated extractor for perfect extraction results during lock box machining, on the left side. 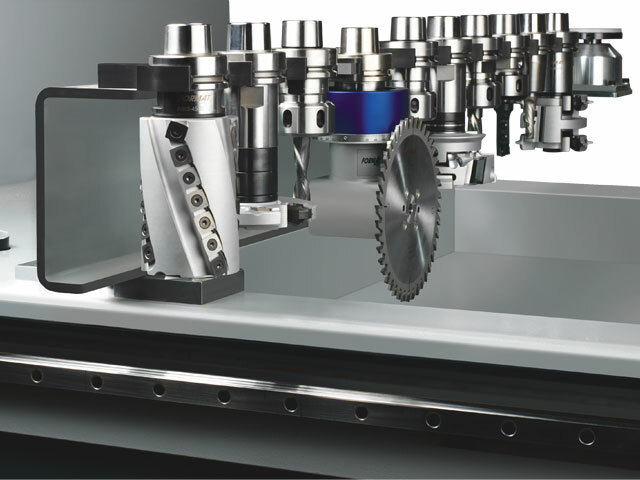 The variable speed of up to 18000 rpm and the pneumatic swivelling from 0° to 7° (ideal for door hinge machining) enable flexible application possibilities.